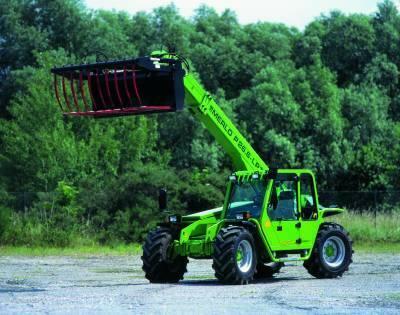 Merlo is the manufacturer of the telehandler model P 26.6 LPT/SPT. Find and download detailed specs and data sheets for this machine here. Equipped with a powerful Perkins engine, this P 26.6 LPT/SPT 5.52t machine can provide 80kW or 107 horse power for the telehandler. 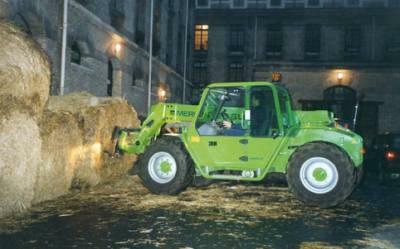 The P 26.6 LPT/SPT is categorised in the smallest machine segment in the telehandlers category. The model's dimensions are 4.21m x 1.995m x 2m. 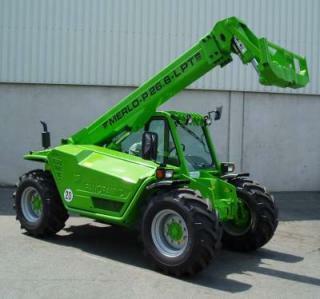 The size of standard tyres for this Merlo P 26.6 LPT/SPT is 400/70-20. Operators can travel by 20km/h with this telehandler. Max. Horizontal reach of this P 26.6 LPT/SPT model from Merlo is 3,21m. 2.6t is its maximum nominal load capacity with a 500mm center of gravity. The P 26.6 LPT/SPT has a lift height of 5.98m, to which it can lift 2.6t. The capacity of this model at full forward reach is 1.3t. It does not include Side displacement, Inclination correction and StVZO Equipment. 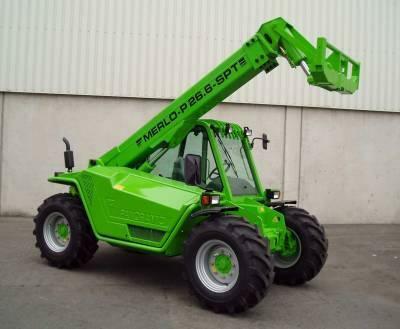 There are more detailed specifications and machine descriptions available in the original Merlo P 26.6 LPT/SPT specs data sheet. Specification sheet is available for a free download in German - providing the machine descriptions and more detailed specs about this particular model. The production stopped in 2004, where this P 26.6 LPT/SPT was available at a new list price between €51,000 and €65,000. For more detailed information about pricing and current residual values, check out the LECTURA Valuation system. 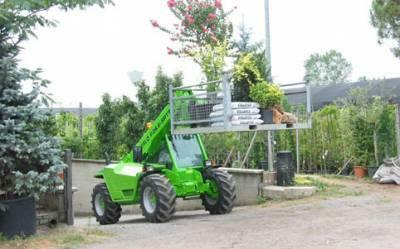 Comparisons of the P 26.6 LPT/SPT Merlo with other telehandler models reveal that, based on specifications and pricing, the model is similar to the Italmacchine Agrilift 267, Dieci ET 27 HV 7-T as well as Manitou MLT 526 Compact. 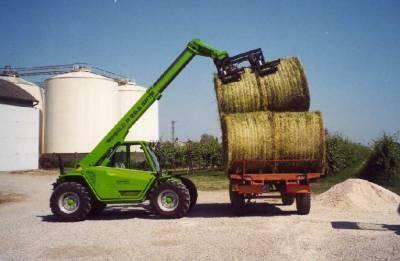 At present, 56 other telehandlers, which range from 2.7t up to 12t are produced by Merlo. Of these, TF 50.8 T-120, TF 33.7-115 and also TF 50.8 T-CS-156-CVTRONIC are the most frequently visited on LECTURA Specs. Want more detailed specifications? Download the latest Merlo P 26.6 LPT/SPT specs data sheet on LECTURA Specs today!